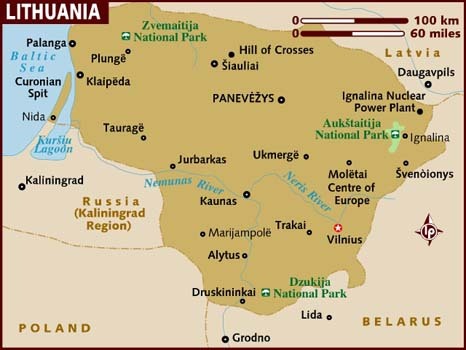 The Republic of Lithuania lies on the eastern coast of the Baltic Sea. 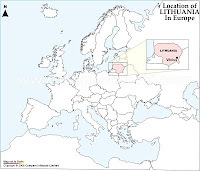 The country borders on Latvia, Belarus, Poland and Kaliningrad Region of the Russian Federation. The capital Vilnius is a multinational and multicultural European city. As the National Geographic Institute of France confirmed in 1989, the geographic centre of Europe lies just 24 kilometres northwest of Vilnius. Lithuanians show great respect to trees and nature. The most scenic places of the national ethnic regions, with the largest concentration of historic sites, represent the National Parks of Aukštaitija, Žemaitija and Dzūkija. The most beautiful and unique protected areas of the Lithuanian nature cover more than 12 percent of the total country’s territory. The Curonian Spit National Park is just one example and also part of the UNESCO World Hertiage. The biggest insular castle in the Central and Eastern Europe, together with a historical Trakai town nicely blend into the labyrinth of lakes and relief of the Trakai National Historical Park. Up to the present days the millennium-old and turbulent history of Lithuania has preserved its extremely diverse heritage. Wedged at the dividing line of Western and Eastern civilizations, Lithuania battled dramatically for its independence and survival. A UN report on Lithuania stated that air pollution had damaged about 68.4% of the nation's forests. Problems exist mainly in the cities - the sites of industrial facilities, as well as the ones most exposed to increased traffic. Forests affected by acid rain are found in the vicinity of Jonava, Mažeikiai, and Elektrėnai, which are the chemical, oil, and power-generation centers. Water pollution results from uncontrolled dumping by industries and the lack of adequate sewage treatment facilities. Only a part of the sewage-contaminated water in the republic is processed because cleaning facilities are not yet available everywhere. Beaches in the Baltic resorts, such as the well-known vacation area of Palanga, are frequently closed for swimming because of contamination. After the nuclear accident at Chernobyl that contaminated much of Lithuania with excessive radiation, Lithuanians are concerned about nuclear energy development, especially the use of nuclear power generated by plants of the same kind as the one at Chernobyl. Although the Ignalina nuclear power plant, which operated two reactors similar to those at Chernobyl, was shut down at the end of 2009, proposals have been made to build a new plant on the same site. Lithuania's pollution problems have also affected the nation's wildlife. The country's flora and fauna have suffered from the drainage of land for agricultural use. Although nearly 10% of Lithuania's total land area was protected as of 2001, many of the country's original animal and plant species are now extinct. Five mammal species and four species of birds are threatened. Threatened species include the European bison, marsh snail, and Russian desman. The climate is already changing in Lithuania. During the 19th-20th centuries the average annual air temperature in Lithuania increased by 0.6°C and temperatures are expected to continue to rise. Forests have been an indicator of climate change in Lithuania. Other impacts that Lithuania is expected to face include greater precipitation, warmer winters, and less snow days. These factors are expected to lead to a greater risk of sudden flooding. With an expected sea level rise in the Baltic sea of 0.6 m, coastal flooding and transformation of coastal areas is predicted. A study regarding the involvement in voluntary associations in Lithuania shows that only 15% of the population consider themselves as members of associations, 11% are active members, but 3% have a position. In Lithuania respectively 23% respondents represent trade unions, 26% are members of sports clubs, and 28% are members of cultural associations. As people involved in voluntary associations are more interested in political and societal matters, they express it in more active political participation in different kind of activities, as well. One of the indicators of stability of democracy – interpersonal trust is rather low in the Baltic States compared with states with longer experience of democracy. According to OECD there are about 22 environmental taxes in Lithuania, among which 3 regard fuel and vehicles, 4 regard air pollution, 5 regard water, 4 regard waste, while the remaining 6 refer to use of natural resources and nature protection. There are also some environmentally motivated subsidies with the purpose to: increase reuse of glass packaging, support private and public initiatives to improve energy efficiency in residential and public buildings, support public and private sectors in implementing environmental projects in accordance with Lithuanian Environmental Strategy and foster production and use of bio-fuels herewith to reduce use of oil fuels and emission of greenhouse gases. State strategy of use of underground resources (under preparation). At 2.0 % of GDP, revenue from environmental taxation is the sixth lowest in the EU, due in particular to the very low revenue from transport taxes. Since 2003, environmental tax revenue, as a share of GDP, has fallen continuously till 2008. From 2008 to 2009 there has been an increase of 0.3 percentage points in revenue from environmental taxes. According to a study regarding CSR, approximately one third of respondent Lithuanian companies to a survey believe addressing stakeholders’ concerns, complying with existing operations, and protecting the environment are socially responsible activities. Only 39% of Lithuanian companies strongly agree on the protection of the environment being one of their main duties in society. During the last years, 68% of Lithuanian companies engaged in environmental projects, 25% did not, and 8% do not know. Higher percentages of companies which do not engage in environmental projects are found among small and medium companies and among non-financial services companies. Of those that engage in environmental projects, half engage in projects linked to the company’s operations (internal), 8 percent in projects not linked to company’s operations (external) and 11 percent in both kinds of projects. In order to implement their environmental projects, most companies collaborate with a number of institutions that can be categorized as: other businesses; municipal institutions; CSOs; governmental institutions; and community institutions. A vast majority of respondent companies collaborate with municipal institutions. Half of the companies collaborate with governmental institutions. Activities providing education and information on environmental issues (for example, school programs, community meetings, internal training, etc.) are not very popular in Lithuania. Companies which develop these activities address them primarily to their employees, and secondarily to management, local communities, and company owners. Recycling programs are relatively widespread. Half of respondents have one in place. A large majority of Lithuanian companies have no environmental certification. 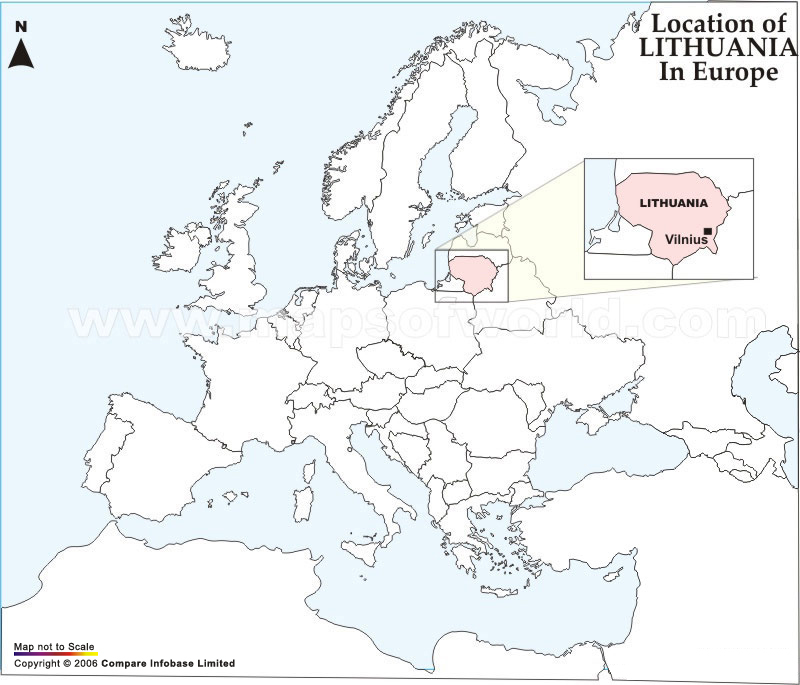 Environmental impact assessments (EIA) of companies’ operations are relatively widespread in Lithuania, and are conducted by 59 percent of respondent companies.